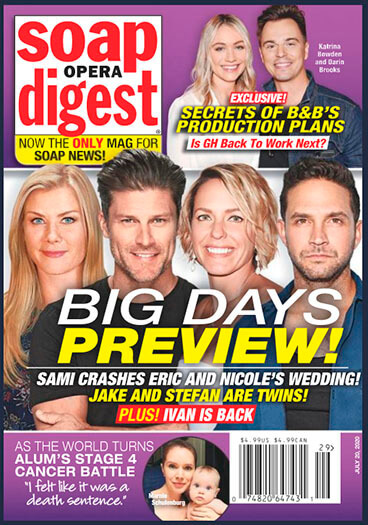 Soap Opera Digest Magazine goes behind the scenes of the most popular soaps from daytime and primetime. 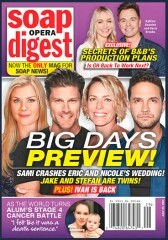 Every week, Soap Opera Digest brings fans behind-the-scenes secrets, the latest star gossip and fashions. Soap Opera Digest catches readers up on what happened last week and gives them sneak peeks at upcoming plots. Who's getting married, who's cheating, whose baby is it really? 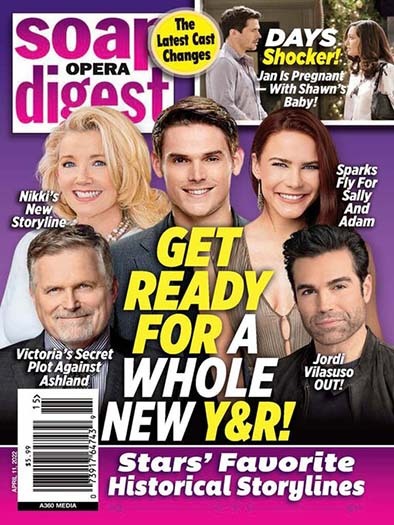 The drama, the romance and all the intrigue of your favorite soaps are featured each and every week in Soap Opera Digest. Who publishes Soap Opera Digest Magazine? Soap Opera Digest Magazine is published by American Media Inc.
How often is Soap Opera Digest Magazine mailed? Soap Opera Digest Magazine is printed and mailed Weekly. If I order Soap Opera Digest Magazine today, when will my first issue arrive? What is the Universal Magazine Code for Soap Opera Digest Magazine? There are currently no customer reviews for Soap Opera Digest Magazine.